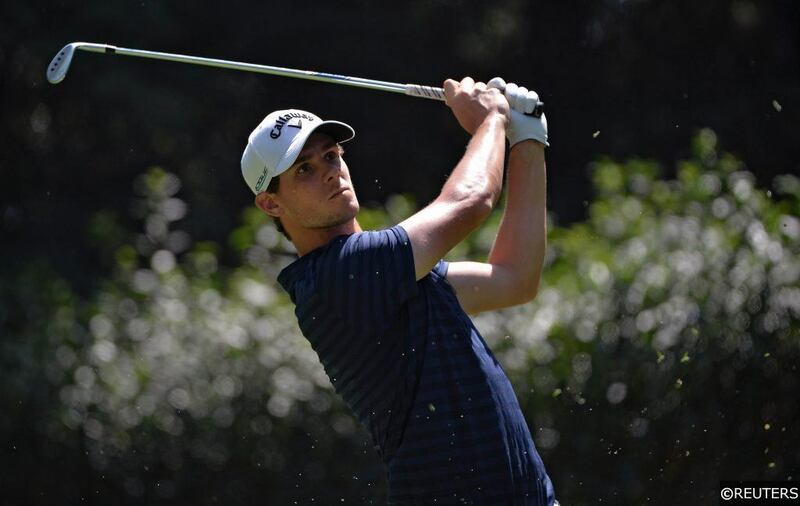 What a week Golf tipster Steve Palmer has had, not only did he tip Belgium to win the ISPS Handa World Cup of Golf at 11/1 as well as Australia Each-Way (2nd) but also tipped Matt Fitzpatrick Each-Way at 12/1 (2nd) and Jason Scrivener Each-Way at 30/1 (T3) in the Hong Kong Open to bring a profitable return on all his selections this week. The World Cup of Golf kicked off with better ball and the power packed Belgium pairing got off to a solid start with an opening round of 63 placing the tied for second and just a shot back from Australia pairing of Marc Leishman and Cameron Smith. The 2nd round saw the tougher alternate shot format and this was made even tougher by the wild weather conditions. Leaders Australia struggled to get going and ended up carding a disappointing 76 to leave themselves 4 off the lead. Belgium managed to take full advantage, shooting a 71 and being one of just four teams to go under par in round 2. This took them to the top of the leaderboard to go joint top with Korea. The 3rd round saw the return of the favoured fourball format in much better conditions than they had faced in the second round and the Belgians were on fire, shooting a sensational nine under par 63 to go 19 under for the tournament and a huge 5 shots clear of the field. Detry and Pieters fired in 7 birdies and an eagle in their bogey-less third round to shoot the lowest round of the day. The Belgians couldn’t wish for a better chance to lift their first World Cup of Golf trophy and going into the toughest of the formats with a 5 shot lead proved crucial as they shot a 4 under round of 68 to win the title, 3 shots clear of the Australians and Mexicans. Australia kicked off their bid for the World Cup of Golf title superbly with an opening day 10 under par round of 62 but their major undoing was the second round. They suffered in the tough conditions and ended up closing their second round with a 4 over par 76. Unfortunately for Leishman and Smith it was a mountain too big to climb as despite two 7 under par closing rounds of 65, it wasn’t enough to catch the Belgians and they had to settle for tied second with Belgium. Englishman Matt Fitzpatrick didn’t get off to the best of starts at the Hong Kong Open as he carded a level par round of 70 which saw him 5 adrift of leader Aaron Rai. He came out all guns blazing in round 2 which saw favourable scoring conditions shooting an 8 under par 62 however Rai, who was looking for his first European Tour victory went one better with a 61, putting him 6 clear of Matt. A slightly disappointing 2 under par round of 68 in the 3rd round meant he had it all to do going into the final round. It proved too much of a mountain to climb as despite a closing round of 64 he finished on -16, one shot behind eventual winner Aaron Rai. Unlike Matt, Jason started this tournament in excellent fashion opening with a 5 under par 65 to take the joint lead on day 1. He backed that up with 3 solid rounds of 1 under, 3 under and a 2 under final round of 68 to finish tied 3rd alongside Victor Perez on -11. We have golf predictions every week, provided by the excellent Steve Palmer. You can follow him on twitter here . For our weekly golf tips and analysis make sure you bookmark this page . Categories: Golf and Tip Results. Sports: Golf.